1. Mix cheese and potato in a bowl. 2. Form into balls of about 1 inch diameter. 3. Roll in bread crumbs. 5. Place in a paper towel to remove excess oil. 6. Serve with a dip of your choice. I used mayonnaise-catsup dip. I love croquettes! Thanks for sharing the recipe! Gotta try this. Love it! A good snack for the kids. Will try this very soon! thanks for the recipe! like you said, it would be a good alternative for my favorite fries! This looks delicious. I want to try making this one. I had mozarella croquettes when I met up with January. I can't get over how good this dish look. So perfect for parties, snack and side dish. Thanks for sharing this recipe. Will try very soon! 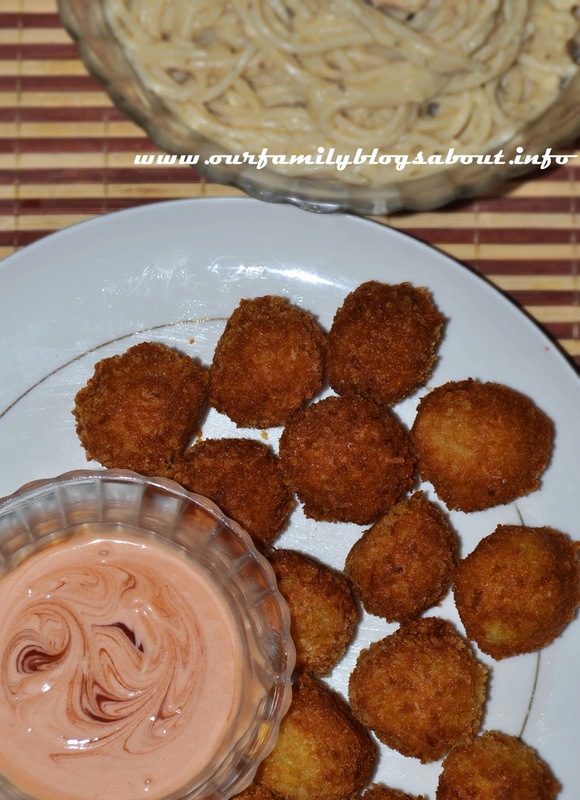 I love croquettes because it's very easy to do and delicious too!